Demand for home care services is rising in Canada. Ontario has seen a 20 percent rise in demand since 2010. The North Simcoe Muskoka LHIN, one of Ontario’s 13 local health authorities, projects it will need to hire 48 percent more personal support workers (PSWs) by 2021 in order to keep up with the growing appetite for home care. For service providers—organizations in the private and public sectors that deliver frontline care—attracting and retaining personal support workers (PSWs) to meet this demand has been a challenge, despite a host of recent attempts at the government level to expand training opportunities, improve working conditions, and increase the minimum wage for home care workers. 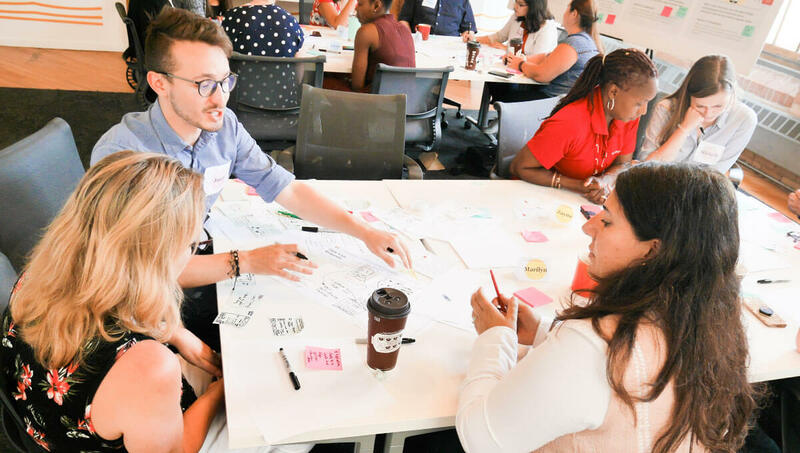 The project, sponsored by the SE Futures team, an internal innovation hub at Saint Elizabeth, and led by Bridgeable, a Toronto-based service design firm, unfolded over the course of the summer of 2018. Using a design process known as service design, Marilyn, along with six of her colleagues from across the organization, set out to redesign how PSW services are managed and delivered in suburban Ontario—to make life better for PSWs and the clients they serve. For Marilyn, this project was more than just a tokenistic attempt to involve employees in the design process. 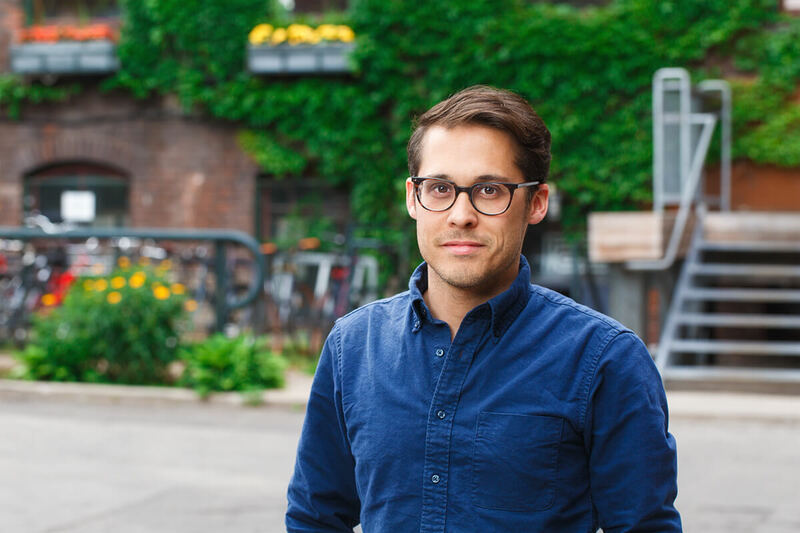 “You guys [the design team at Bridgeable and SE Futures] really listened,” she says. The project signaled a genuine effort on the part of SE Health to improve the day-to-day work conditions of PSWs and to support “bottom-up innovation”—an approach to service innovation that ensures that frontline staff, those delivering services, have an equal seat at the design table, so to speak. Bottom-up innovation starts with strong executive leadership and a mutual understanding that all project stakeholders (from the corporate office to the front line) have an equal say in how the project unfolds. What does bottom-up innovation look like? Bottom-up innovation starts with strong executive leadership and a mutual understanding that all project stakeholders (from the corporate office to the front line) have an equal say in how the project unfolds. For Marilyn, this meant playing an active role in every phase of the project, from validating research insights gathered through in-depth interviews, participatory workshops, and in-field observation to drawing, role-playing and testing prototypes. The co-creation workshop was a pivotal moment in the project when the bottom-up innovation approach was put to the test—a chance to see if the methodology would really be responsive to the needs of frontline staff. Toward the end of the workshop, participants were given the opportunity to select one of two concepts to prototype in more detail: “no-surprise scheduling” or “the client portrait.” The project team was leaning toward the client portrait, as it seemed the more innovative of the two options—scheduling was a persistent and stubborn problem that SE Health had been working on for several years. But Marilyn was adamant that more resources were required to fix scheduling problems. In her opinion, it was critical that SE Health try to improve the working conditions of PSWs. As she explained, PSWs often work long days (sometime with few breaks). A flexible scheduling solution would empower PSWs to make informed, on-the-ground scheduling decisions, allowing them to better manage their day-to-day workload while giving the corporate office more insight into the frontline events that affect scheduling. Marilyn thoughtfully advocated for her position. In the end, she successfully persuaded other team members to prioritize scheduling (although, in truth, the project team built out prototypes for both concepts). It’s this kind of exchange between two (sometimes conflicting) perspectives on the same problem that illustrates the benefits of bottom-up innovation. Without Marilyn’s involvement, the corporate team would have not fully appreciated “how things really happen on the ground,” as she put it. Unnecessary effort could have been devoted to a secondary, albeit important, problem that would have only marginally improved conditions for PSWs. Bottom-up innovation demands that the project team avoid papering over real problems happening at the front lines, instead confronting them head on—even if doing so leads to uncomfortable conversations. Coming out of each of those workshops made me feel hopeful. Be prepared to disagree: The realities of frontline work may conflict with the policies set out by the corporate office—the way things happen in practice is not always the way things are supposed to happen in theory. These two worlds represent two distinct ways of perceiving the same problem. In the case of scheduling, the corporate operations team may see the problem as volume (one that can be fixed by recruiting more qualified talent to fill scheduling gaps), whereas the frontline team may perceive the problem as a matter of flexibility (more flexibility on the front line may help to alleviate some of the scheduling pain points). Both of these perspectives are relevant, and both are reflective of the realities of each actor. The right mix of people is a prerequisite: The key to this summer’s success, as Marilyn sees it, was that they worked as a team. Having the right mix of people with different perspectives is a necessary condition. Equally important is that team members feel safe speaking their mind without fear of reprisal. People have to know that they will be protected if they speak out against an initiative or perspective held higher up in the organization—and more senior project leaders may need to navigate internal politics to support these protections. As Marilyn’s experience shows, bottom-up innovation can prove useful for starting to address some of the systemic challenges the home care industry faces. These types of innovation projects can help frontline staff identify skills they never knew they had—problem definition, creative thinking, and iteration are not just skills for designers. These are the kinds of innovative skills every leader needs. Projects like this not only address real-world challenges faced on the ground, but they allow frontline staff to try out new skills in a safe and supportive environment. These types of projects also signal to staff that their insights are important and valued. As Marilyn says, “coming out of each of those workshops made me feel hopeful.” Innovation is about solving problems, but, in some cases more importantly, it can also signal to frontline staff that their opinions and skills are valued and needed. While innovations projects are by no means silver bullets when it comes to fixing the broader systemic challenges faced in home care, they can provide a platform for frontline staff to play an important role in starting to address some of them.